EU-based bitcoin advertising network BitMedia.IO announced in a press release CoinReport received that it has deployed upgraded fraud detection technology into its ad server, an upgraded self-service ad management system and brand new (improved) traffic and quality control tools. This major upgrade gives cryptocurrency advertisers looking to target the sector increased confidence across CPM and CPC campaigns, said the company in the release. As the industry evolves to become more centralized and regulated, marketing and finance staff and their media buyers across the globe need more trust over how and where their funds are being spent in an environment where less than half of impressions on advertising networks can be served to non-human and fraudulent traffic sources, said the release further. The upgrade, said BitMedia.IO, also sets the ball rolling for the introduction of non-cryptocurrency payment options later in the year, adding that by partnering with Enbrite.ly and others, the BitMedia.IO platform adds advanced impression- and click-level fraud-detection for advertisers by default, saving the requirement for advertisers to pay for this separately to monitor campaigns run on the network. 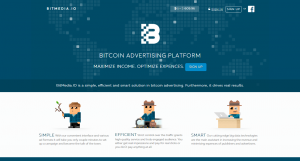 BitMedia.IO says that it has registered more than 2,000 specialist bitcoin publishers across the web and attracted more than 600 advertisers to the network since launching in 2014. Advertisers or media buyers interested in running campaigns on BitMedia can sign up here, with deposits credited after three confirmations. BitMedia says it offers instant bonuses for new and existing advertisers, with the bonus size depending on the topup amount. 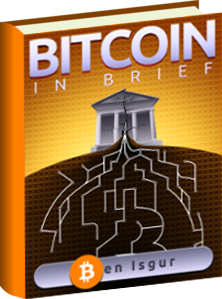 Bitcoin publishers can sign up on the network’s website.